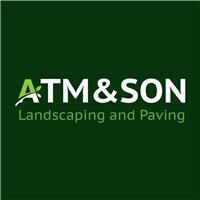 'ATM & Son Ltd' are based in Washington and cover the surrounding areas. We have over 30 years’ experience and have installed in 1000’s domestic properties. If you’d like to see a previous installation, we will happily put you in touch with one of our previous customers so you can get a first-hand review of our product and service offering. We are also bradstone assured installers for the north east of England which guarantees our work for 5 years. We ensure that a quality service is always provided and that every one of our customers is 100% satisfied with the finished result. * Artificial grass........and much more. So call today for experienced, honest and reliable advice and a NO OBLIGATION quote! !